Home / charts / Kendrick Lamar / Kendrick Lamar Debuts at No. 1 on Billboard 200 with "DAMN." Kendrick Lamar Debuts at No. 1 on Billboard 200 with "DAMN." Kendrick Lamar scores his third #1 album on the Billboard 200 chart as DAMN. debuts atop the chart with the biggest week for an album in nearly a year: 603,000 equivalent album units! At #2 we have John Mayer's The Search for Everything with 132,000 equivalent album units sold knocking Drake’s More Life to #3 with 87,000 units sold. 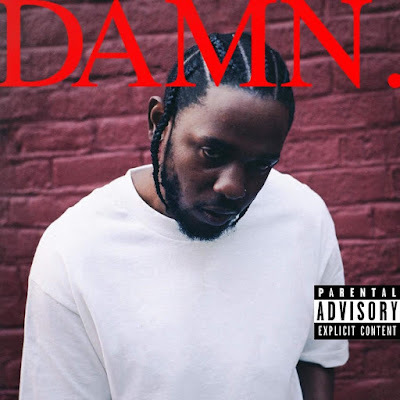 Kendrick Lamar conquista os eu terceiro álbum #1 nos EUA com DAMN. a entrar diretamente para o topo desta tabela com 603,000 unidades vendidas! Parabéns! A entrar no #2 temos The Search for Everything de John Mayer com 132,000 unidades vendidas derrubando More Life de Drake para o #3 com 87,000 unidades vendidas.